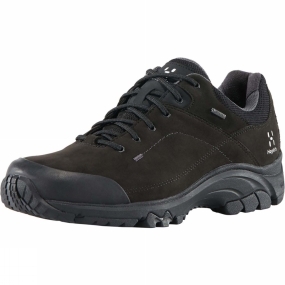 The Mens Ridge Shoe from Haglof features reinforced rubber toes and heels for added protection. High-grip rubber on the sole anchors you to the ground. Extra innovative tweaks give a really comfortable and responsive stride, while durable materials are chosen for comfort and longevity. A classic.